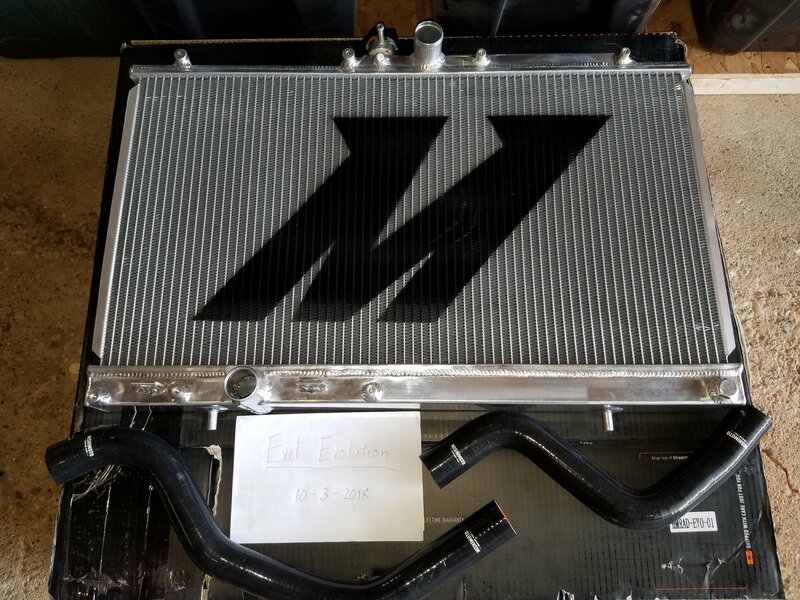 I have a Brand New Mishimoto radiator and Mishimoto hose kit for sale. The radiator was only removed from the box for a fitment test. Looking to sell both together. Local pickup is preferred, but will ship at buyer cost. This is Evo 6 style? It's stock turbo placement for an Evo 8/9.